We are dedicated to our roofing service and take it very seriously. In London Local Builder, we know how much a roof is important to a house. So, we always try to do our best to maintain the roofing structure of our client’s house. From the maintenance of roof to the installation of a brand new one, we provide all types of services. Our team of professionals is always ready to deal with any type of roofing problem no matter how big or small the matter is. We possess some of the latest and high-tech tools that you will not find with any other company. With the use of those tools, we can solve any kind of roofing problem in few hours. Roofing is the top most structure of a house that faces everything from climate changes to various types of weather conditions. This is why it needs to be the tough and quality one. Poor quality roofing is the main cause of serious accidents. The main aim of our company is to find out those problems and make the house a safe place for our clients to live in. 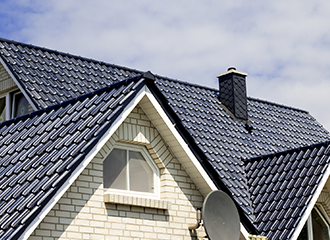 When it comes to roofing, we never compromise with the quality of materials or our service. This is why those who have hired us for once made a strong bonding with our company, London Local Builder. As long as the sun rises from the east, we promise to provide quality roofing services to our clients.